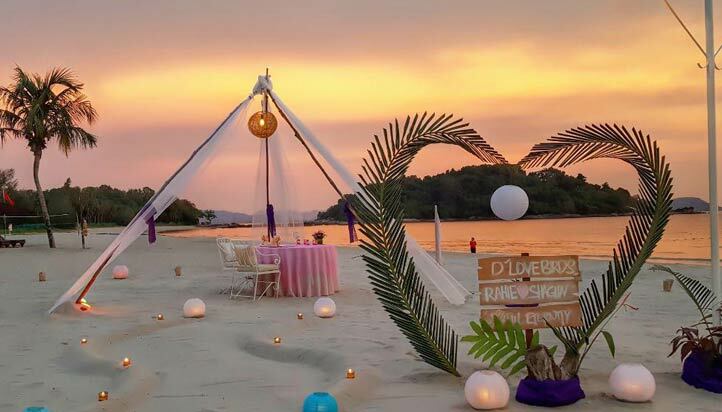 What better way to reaffirm your love for your significant other half with a romantic dinner by the beach? Share magical moments and rekindle special feelings with each other as lovely sunset views, soft sea breezes and the rhythmic sounds of waves lapping on the shore surround you. Leave it to us to put forth a little celebration of love for you. For more information, send us an enquiry by clicking the "ENQUIRE" button or call us at + 60 (4) 959 1888 ext. 400. Share a romantic & magical moments surrounded by a picturesque landscape @ Beach Brasserie.